You must have heard of companies working really hard in order to develop AR and VR headsets or app. But have you ever thought that AR can be implemented in sneakers also? How cool is that? 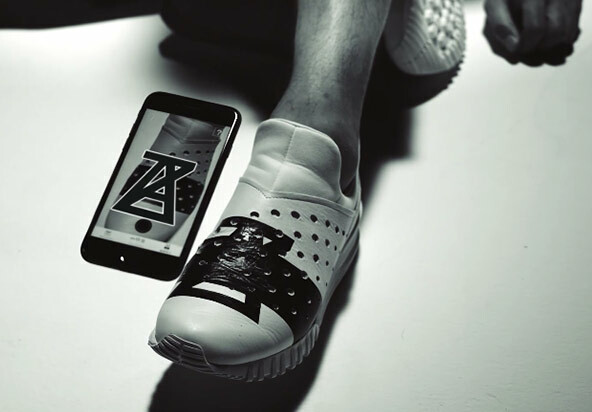 Japanese company Onitsuka Tiger along with Anrealage have produced world’s first augmented reality sneaker. The shoes are called Anrealage Monte Z which looks very similar to the normal pair of shoes. You have to view the shoes through Anrealage’s AR app to view the beautiful AR feature of the shoe. Upon viewing through the app, they become unlike any pair of sneakers that ever existed. The shoe which is also called Anrealage’s Monte Z is made up of fairly plain leather. These sneakers look like the hybrid product of crocs, black duct tape, and a normal sneaker. They lack the laces and is available in black and white colour combination. You must be thinking what a great technology that is. But there are few major limitations like you have to download the app to view the AR feature of the sneaker. Also, some reports have claimed that AR feature only works on the left shoe. The app is also inefficient and takes several attempts to scan the shoe. Also, if you want to ensure that AR feature works for the longer period of time then you will have to keep the shoes clean and in good condition. One thing is for sure that buying these shoes may not be the best decision at this moment. But, development marks as that significant development in the field of AR and if this technology can be improved it could really become an interesting product.